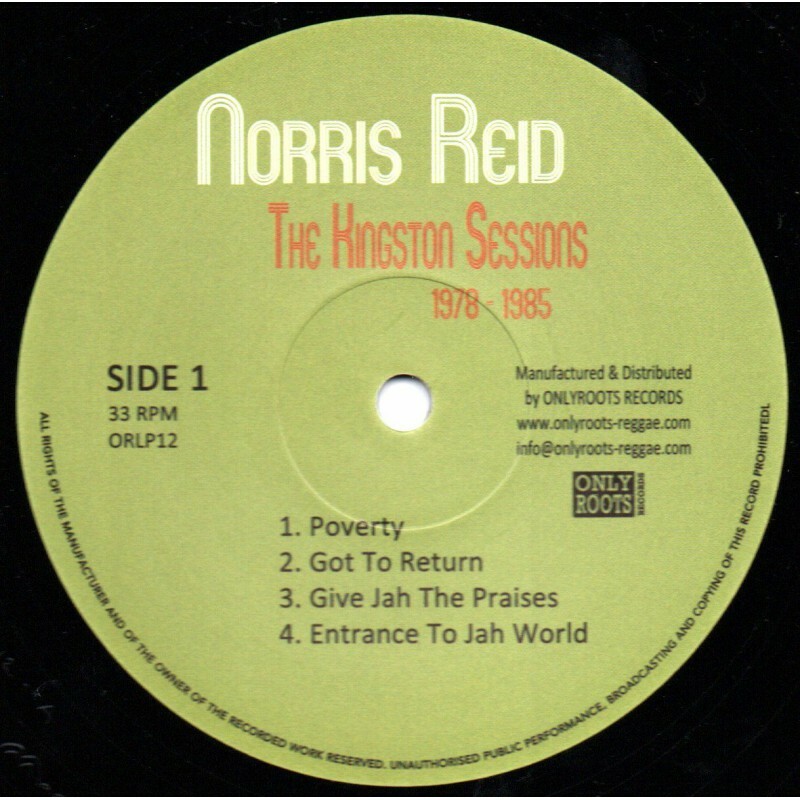 Norris Reid has rubbed shoulders and recorded with the greatest Jamaican artists. 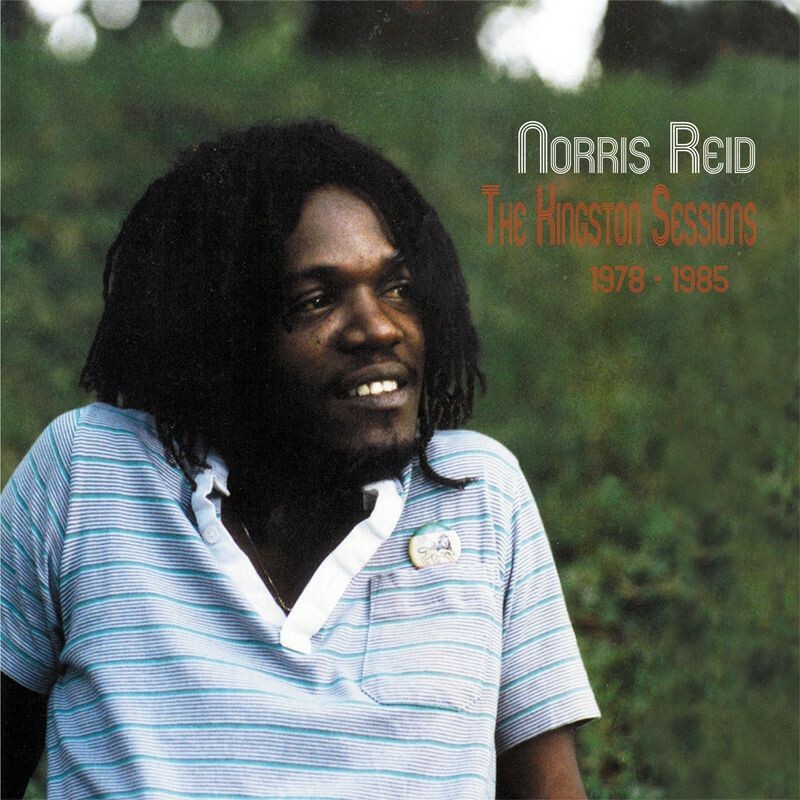 He released many singles under the aegis of producer Augustus Pablo such as the deep "Give Jah The Praises" on the rhythm "Satta" revisited, "Black Forces", "Entrance of Jah World" or "Rise in the Strength of Jah" that he later covered as a member of the Viceroys. With them he recorded two albums as well as their greatest hit "Heart Made Of Stone" before leaving Jamaica in the mid 80's for the USA. 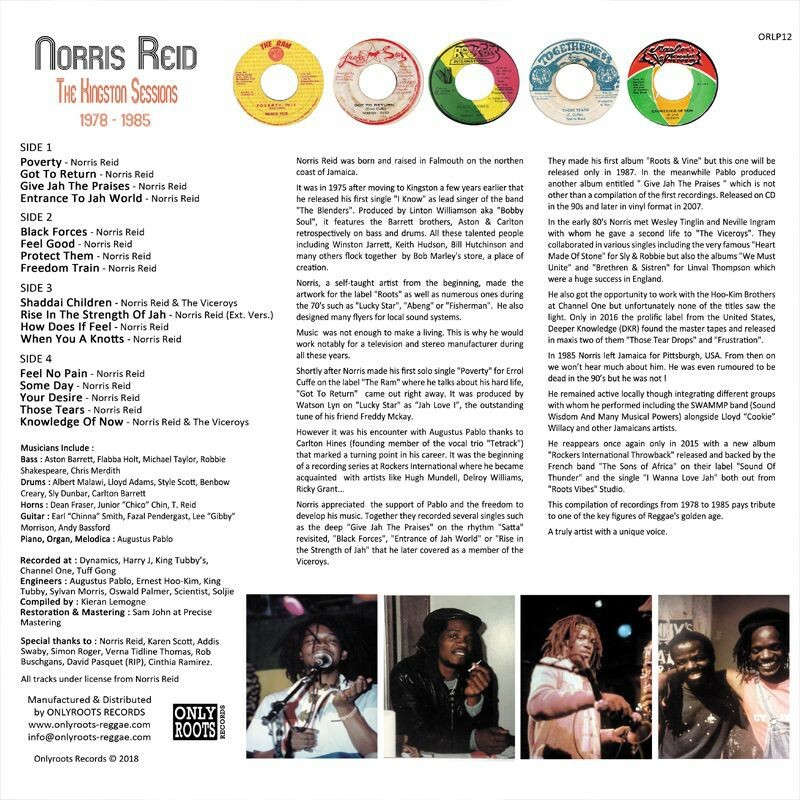 This compilation of recordings from 1978 to 1985 pays tribute to one of the key figures of Reggae's golden age. A truly artist with a unique voice. This reminds me of the releases done by Makasound 15 years ago - similar concept & design. Ordered this today from Honest Jon’s along with a few other Only Roots releases, just want to show some appreciation for their fantastic releases and long may they continue. What you mean by "tax" ? We don't charge more tax than any other seller. The only tax we charge is the VAT as everybody unless you're not in Europe. And I don't think you got free shipping either from others shop for the order of one album. So what's the problem ? See that "Taxes" part? aint paying it, I am in the USA not Europe. Nobody said anything about free shipping, its the taxes on top of the shipping that kills it for me. nearly half the price of the item for shipping and taxes. Get the record to Amazon or Juno and I will buy it, looks like a nice release, but I don't just throw money down government bungholes if you see what I mean. These taxes are the VAT (20%) in France and if you check it better it's just informative. I mean the 4.67 € of taxes are included in the price of the product 22.49 € they are not added to it (check the total price the addition is not too difficult ;D). 22.49 - 4.67 = 17.82 € (for the product). In the example you sent it seems you didn't make an account. Just register and after giving your delivery adress you'll see the total price. In UK For Juno it's the same thing. They have to charge 20 % of VAT unless you're a foreigner (outside Europe). So let me tell you if you buy it in Amazon or in Juno you'll pay the record more expensive than from my website. Well I might be wrong (won't be the first time) but I was going by what your site was telling me. And yeah I did not make an account; I typically do not make accounts to buy stuff, unless I have to. I am funny like that, dont like spreading my info all over the net for no good reason. except that you want 19 euros to ship to the usa. and i know i sound ignorant american for saying this but my french is not up to speed so i have a difficult time with your site. Kool noh though. jb welda wrote: except that you want 19 euros to ship to the usa. in the top right side of the website you have a link to change the language from French to English. For the shipping as you know it's not free to ship from Europe to USA. Maybe you could select various records to save a bit, it's the same price up to 2 kg. Now please write to my email if you need further help or assistance because I don't think blood&fire forum is the best place for that ! Sorry I did not get back sooner, but thanks for the help. Certainly looks like a great release, I may go with Juno since I don't do facebook. Personally, would rather buy it direct from the artist, but since no facebook, that is hard.